How do I get to Komedia? 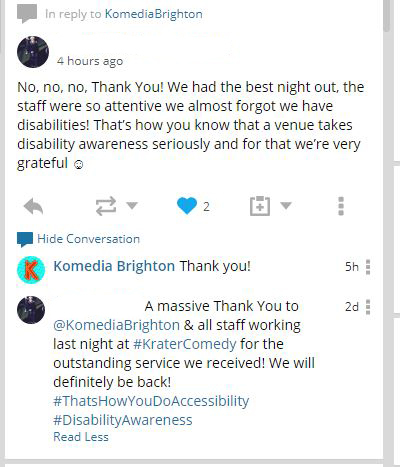 Komedia aims to be accessible to all. Customers who require the support of a companion are entitled to one free ticket with their purchased ticket. These tickets are available by phone 01273 647100 or in person at the Box Office. If early entrance to the venue is required please may we ask you to contact [email protected] so we can make suitable arrangements ahead of your visit. – There is lift access to the two performance spaces. – Both spaces are accessible via stairs and our lift. Komedia’s main entrance is ground level on Gardner Street (level 2 within the building). 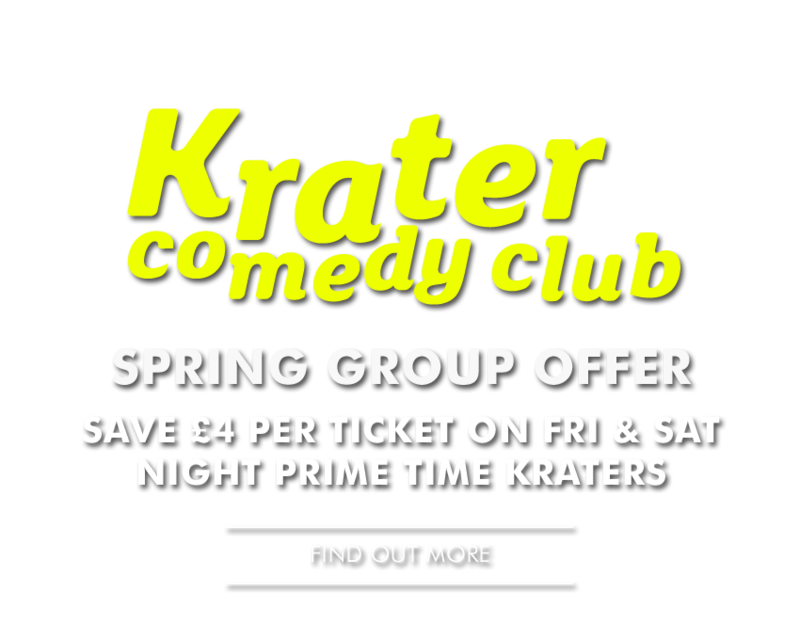 – There are fully accessible disabled toilets for Komedia Downstairs and the Studio. – Our licence specifies the maximum number of wheelchair users that can be accommodated on each floor. We advise wheelchair users to book in advance to guarantee access and in order that we can reserve a suitable table for the party. – The bars in our performance spaces have low-level access for wheelchair users. – Large print menus and wine lists are available on request. – Visually impaired customers are advised to inform us when booking tickets in order that we can reserve a table near the front for the party. – Food & Drink Menus are available in braille. – The downstairs performance space has a Sennheiser infra-red Hearing System. Please let the box office know if you would like to use the system when you are booking so they can reserve you a suitable seat and a headset. By Train – Brighton mainline station is approx. 7 minutes away. Last train to London leaves Brighton 23:37, arrives London Victoria 01:09. By Car – There are several car parks nearby. The closest is NCP – Church Street T: 0845 050 7080 Open Monday – Sunday, open 24 hours. Please visit their website for up-to-date information and prices. NOTE: There is no on-street parking within the North Laine area. Resident Permits only. By Bus – The nearest Bus Stop is on North Street. Please visit buses.co.uk for timetables and prices. Disabled (Blue Badge) Parking Blue badge holders may park behind Komedia on Regent Street (postcode BN1 1UL) with a badge for up to three hours on a double yellow line. Regent Street is a one-way street entering from Church Street. 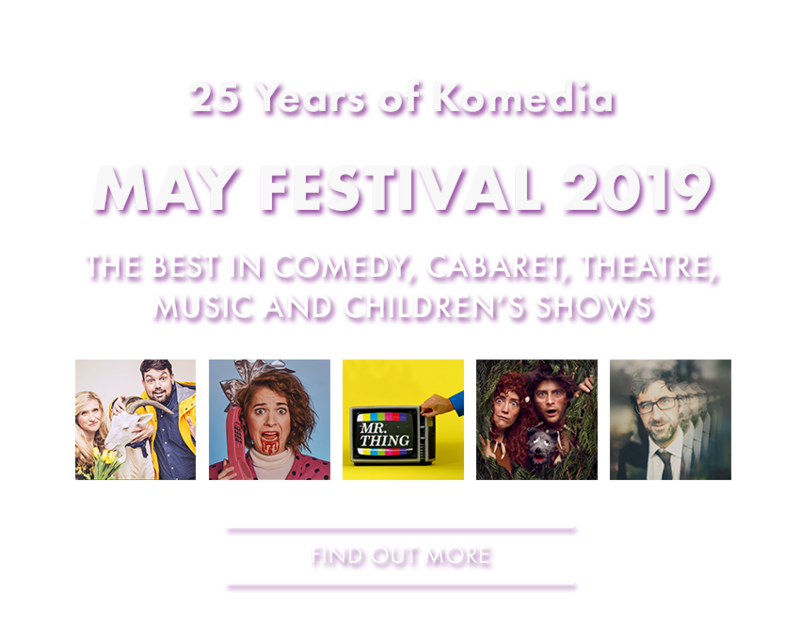 Komedia’s entrance is on Gardner Street running parallel with Regent Street, meaning customers will need to make their way to the end of Regent Street and onto Gardner Street to enter the venue. Opening times – The opening time for the venue is always specific to the events we have on. However, we share the building with Duke’s at Komedia. They run the café in the entrance offering food and drinks from 10am, 7 days a week. Arriving at the venue – Upon arrival, you will find the venue located through the doors at the back of the café. Any member of security or café staff will be able to assist you if you’re not sure where to go. If early entrance to the venue is required pleased may we ask you to contact [email protected] so we can make suitable arrangements ahead of your visit. Ticket collection – Once you’ve gone through the doors leading from the café as you come through you will see an open window to the left of some stairs. This is our box office where you can purchase tickets for the events that night (provided they aren’t sold out) and for future events too. If you have pre-booked tickets please bypass the box office and follow the corridor around the corner. Here you will meet a member of our door team. You can show a print off of your tickets or your email on a smartphone. They will then tick your name off the list and direct you through to the respective venue. 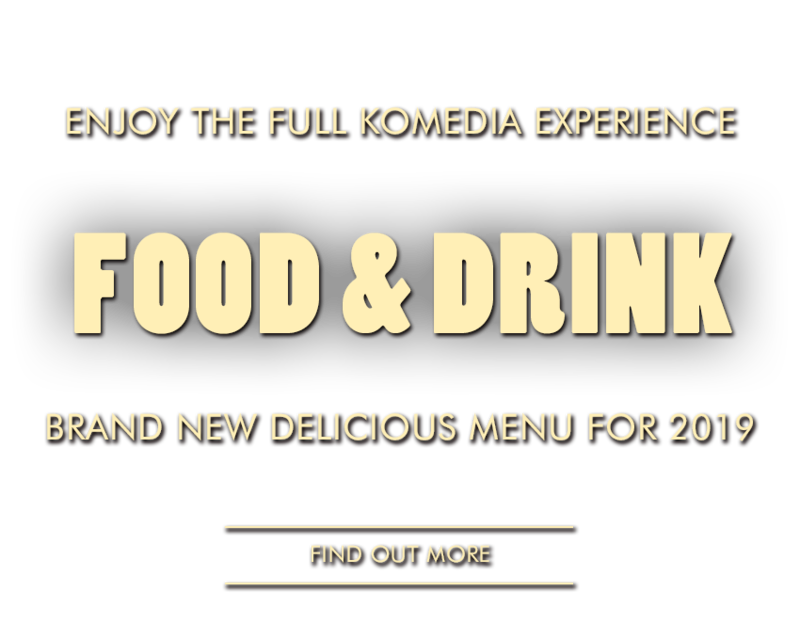 Access to the specific Venues – Komedia has two performance spaces, Komedia Downstairs and Komedia Studio. Both spaces are accessible via stairs and our lift. Komedia’s main entrance is ground level on Gardner Street (level 2 within the building). Events in Komedia Studio – The Studio is located on level 1. Via the one flight of stairs (9 steps), and also via the lift “level 1”. If you require the bathroom the toilets are located back on level 2 which is the same level as the main entrance to Komedia. Events in Komedia Downstairs – The Basement is located on level B. Via two flights of stairs (18 steps), and also via the lift level B. If you require the bathroom the toilets are located to the left-hand side of the room when looking at the stage. Leaving the Venue – When exiting the venue please use lift or stairs to access level 2, which leads you back to the main entrance on Gardner Street. Staff will be happy to assist you if required. Medical Requirements – If any medication or essential food and drink are required at our events, we are happy to oblige. If you’re able to notify us in advance then it means we are able to advise the staff members working on the night. However, we appreciate this isn’t always possible and staff have been made aware that we are happy for provisions to be brought in to the venue in certain circumstances. Strobe Lighting Policy – Strobe Lighting may be used for live music events and club nights. If we are advised in advance that a customer is attending who may be affected by the use of strobes, we won’t use them unless it’s specifically requested by the artist. If heavy strobe lighting is being used warning signs will be placed around the venue. Sound Levels – Komedia operates a Noise at Work policy that adheres to the current guidelines from the HSE, some gigs are meant to be loud but they should also be safe, for this reason, we keep a close eye on dB levels and we also have earplugs behind the bar for every event.